KAMPALA- A shareholder in the defunct National Bank of Commerce (NBC) has vowed never to forgive former Executive Director, Banking Supervision at Bank of Uganda saying she quashed his dreams of polishing his management skills at Harvard University. 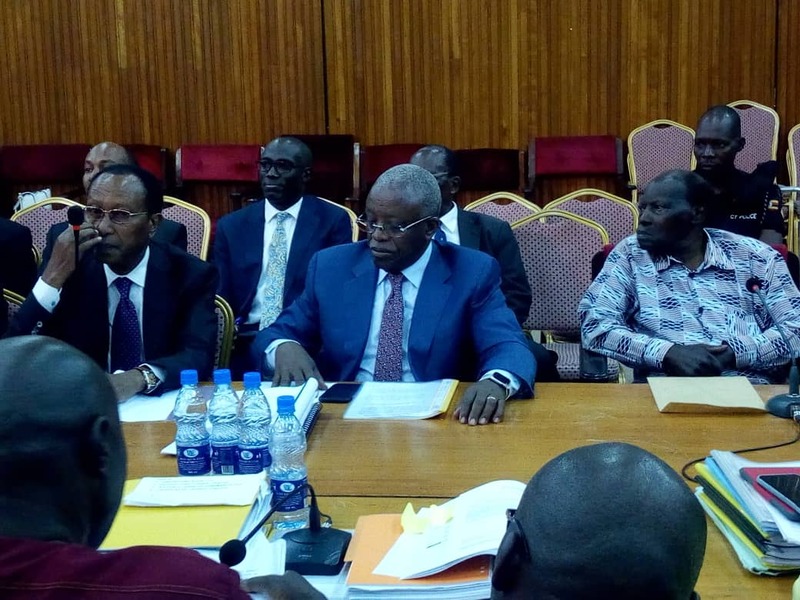 Mr. Amos Nzeyi who owned the Bank alongside former Premier Amama Mbabazi retired Supreme Court Justice George Kanyeihamba among others made the emotional revelation on Monday while appearing before the Committee of Commissions, Statutory Authorities and State Enterprises (COSASE). The team had appeared to explain circumstances leading to the closure of their bank following its takeover and sale to Crane Bank on 27th September 2012, with the Central Bank citing under capitalisation as the reason behind the closure. Nzeeyi told the Committee that following a court battle with Bank of Uganda, the shareholders of NBC Bank were ordered to raise Shs7Bn within a week to recapitalize their Bank, which directive they complied with within four days when he secured a loan from his Kenyan friend and went on to secure another loan from Exim Bank. Upon securing the money, Bagyenda is said to have questioned the NBC shareholders how they came to raise the money within a short notice, a question she ignored answering and within a few months, Central Bank came and took over the Bank, a loan Nzeeyi still pays to date. On the part of Bagyenda, Nzeeyi said he isn’t sure he is able to forgive her because the pain she caused him still haunts him to date. The businessman said that he is now living in fear and can’t step foot in his home district, Kabale where the former shareholders of the Bank are vying for his blood after someone accused him and other top shareholders of receiving money and failing to pay off the peasant shareholders. In a statement read by Mathew Rukikaire, former Chairman NBC Bank said that there are a number of questions that still remain unanswered by the Central Bank as regards the assets of NBC including brand new ATMs worth USD240,000, furniture worth USD700,000, Seals USD150,000 Vaults USD80,000 where the former owners aren’t in the know of where the assets are. The NBC owners also accused Bagyenda and Benedict Ssekabira of secretly negotiating the sale of NBC which was still in business with Crane was not an improper exercise of its mandate under the Financial Institution’s Act 2004. The Central Bank was also accused of failing to appoint an auditor to lay an inventory of the assets and liabilities up to the take over as required. They also faulted Bank of Uganda for failing to administer statutory management of NBC for at least six months as required by Section 89(5&6) so as to bring it to prudential standards before taking drastic actions to close the bank was unjust cause as well as failing to make a forensic investigation after purportedly placing NBC in liquidation. Bank of Uganda was also accused by NBC owners of failing to publish a notice of liquidation of NBC contrary to section 102 of the Financial Institution’s Act 2004 as well as failing to make a liquidator’s report five months after appointing a liquidator of NBC contrary to section 103 FIS 2004 and yet BANK OF Uganda claims liquidation process was closed.